1917. 568 pages. 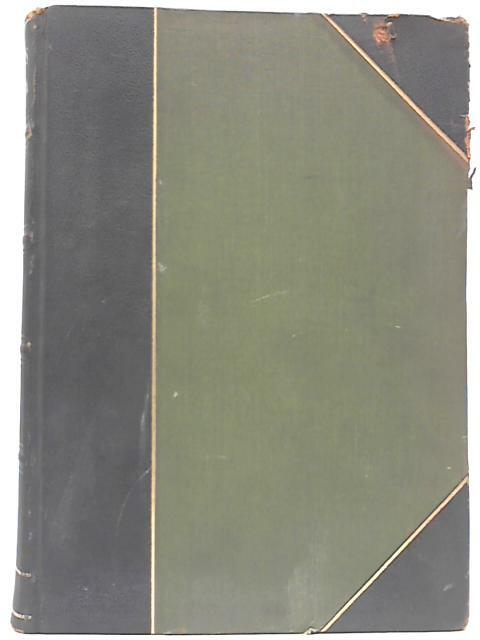 Leather half bound with green cloth. Pages are bright and clear, with light tanning and cracks to guttering throughout, exposing netting. Heavy tanning and thumbing to text block edges, with light rub-marking to half title page and frontispiece. Boards are heavily worn, with rubbing to corners and spine, causing leather to peel. Book has noticeable backward lean, with moderate marking overall. Heavy chipping to spine ends and corners.